Antipode’s 7th Institute for the Geographies of Justice (IGJ) will take place in Mexico City, Mexico, from June 17th to 21st 2019. To date, Antipode had hosted six Institutes for the Geographies of Justice (IGJ): Athens, Georgia, USA (2007), Manchester, UK (2009), Athens, Georgia, USA (2011), Durban, South Africa (2013), Johannesburg, South Africa (2015), Montréal, Québec, Canada (2017). We are delighted to announce that the 7th Institute will be held in Mexico City from June 17th to 21st 2019. 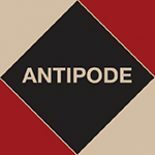 Antipode’s 7th IGJ will provide an exciting opportunity to engage leading edge theoretical, methodological, and research-practice issues in the field of radical geography and social justice (both broadly defined), along with a range of associated professional and career development matters. This international meeting will be specifically designed to meet the needs of new researchers, taking the form of an intensive, interactive workshop for 25 participants. It will include facilitated discussion groups, debates and panels, training and skills development modules, plenary sessions and a field trip. Topics for the meeting will include: defining radical/critical geographies, models of engagement broadly/models of activist-scholarship specifically, interdisciplinary radical work, producing public geographies, locating the boundaries of “the geographies of justice”, the institutional cultures of radical geography, interdisciplinary dialogue and radical geography, how to teach radical geographies, publishing radical geographies and mapping the future of radical/critical geographies. In addition to facilitated discussions, we will make the most of being in Mexico City by interacting with local scholars and activists. The Institute for the Geographies of Justice is open to doctoral students, postdoctoral researchers, and recently appointed junior faculty (normally within three years of appointment). The Institute participation fee will be US$200 for graduate students and US$250 for faculty and postdoctoral researchers. This fee will include your lodging for the week, a couple meals here and there and fund a reception at the end of the week. This entry was posted on 4 October 2018 by Antipode Editorial Office in News.